You need not to have a computer with internet connection to post your tweets. 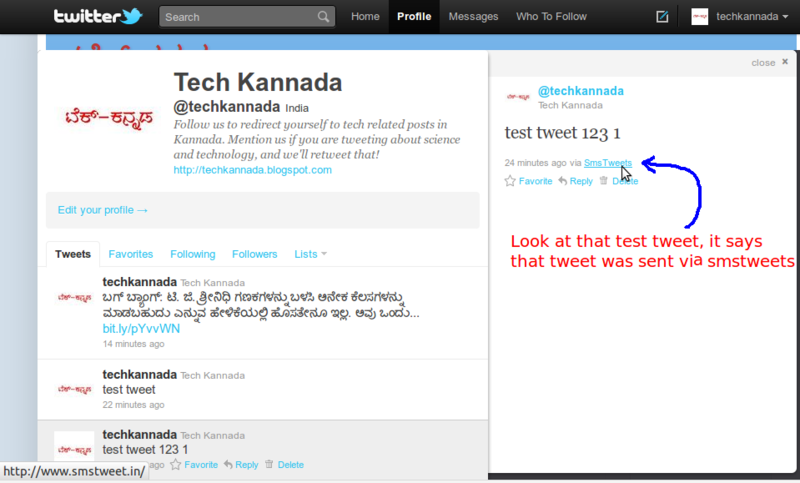 Twitter allows you to tweet by sending a simple text message. What you’ve to do is just go to http://twitter.com/devices, register your mobile number and follow the instructions there. Then you can tweet using your simple mobile phone. But currently this service is supported by only 3 carriers in India, i.e Airtel, Videocon and Reliance. 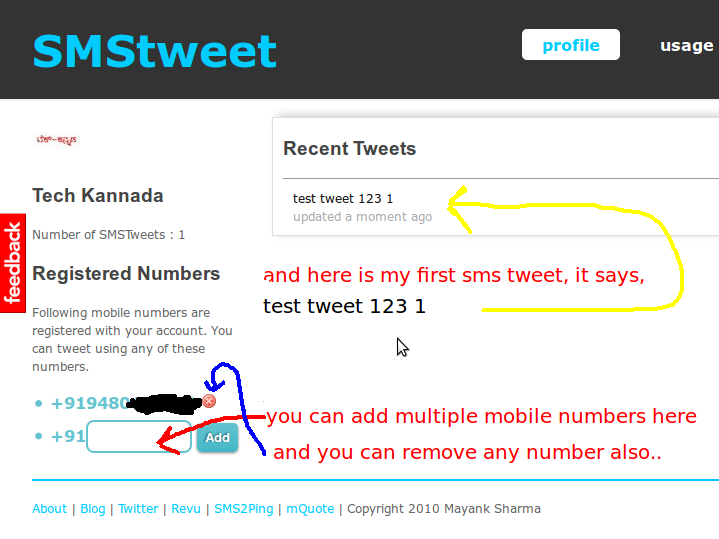 If you are not using the above connections, still you can update your tweets by using http://smstweet.in service. 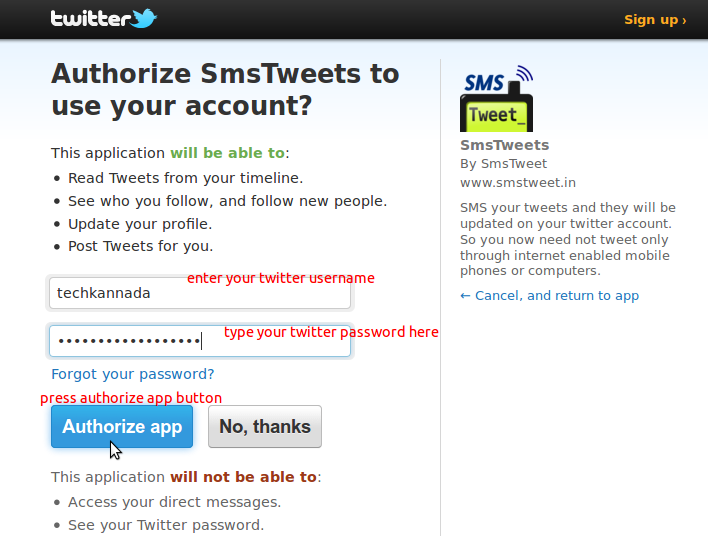 Go to http://www.smstweet.in/oauth/twitter/login, enter your twitter username and password if prompted, then press “Authorize app” button. (It will not ask for your twitter username and password if you’re already logged in to twitter. So just press Authorize app button.) Then you’ll be redirected back to http://smstweet.in. Done! 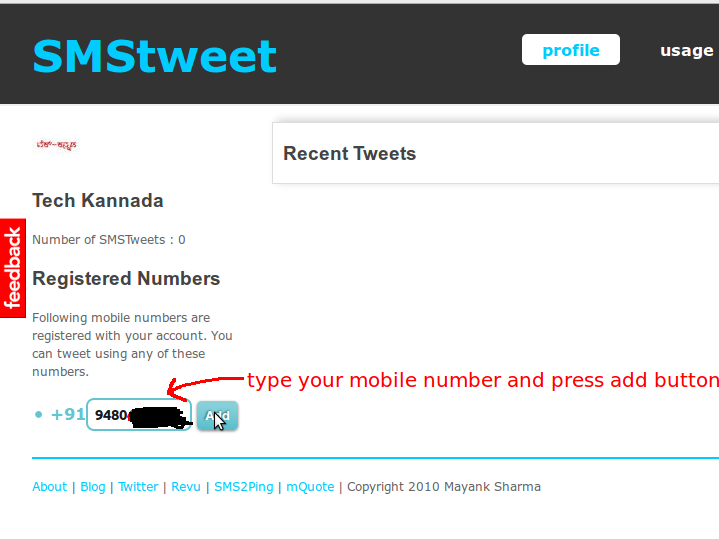 Now you can tweet by sending the message to 09243000111. But your message should be prefixed with the command TWT. Eg: type “TWT <space> hello world!” from your mobile and send it to 09243000111. Your msg will be sent to your twitter profile. But don’t forget to limit your tweets to 140 characters.